Yoga for me is about aligning my body, mind, and spirit. Not drinking beer, wine, and spirits. There’s nothing I love more than rolling out my yoga mat to practice my sun salutations and the downward dog. What I don’t enjoy is the odd mixer of alcohol cropping up in the yoga world. Yet there is an expanding array of yoga-related events that pair beer with yoga (beerga), wine with mindfulness (winefulness), and sparkling with stretching. Promotions for these events include the false promise of reaching a higher level of consciousness by drinking beer and relaxing into the practice by sipping wine between poses. Or they simply state that if you love both, then why not combine them. After all, all you need is an open mind, a love for wine, and a yoga mat. Right? Beer and wine are being promoted as a natural choice for yoga practitioners, but this pairing with plonk is anything but. We know that alcohol causes cancer and is linked with severe health problems including diabetes, obesity, cardiovascular disease, liver disease, mental health issues, cognitive impairment, and injury due to accidents. Despite these facts, alcohol continues to be woven into the fabric of society, including yoga retreats. So what’s the link being made between alcohol and yoga? Both wine and beer are being touted as great accompaniments for improving one’s ability to meditate and practice mindfulness. Yet many of the sacred texts state that the true yogi must aspire to be able to reach higher states of consciousness without the use of aids. So, is this really yoga? Or have we once again fallen prey to the lure of always needing more? Always needing to enhance our experiences, instead of enjoying them for what they are. Or is this just marketing 101? A lazy ploy to pull in more punters with booze. I would argue that yoga is falling prey to a new kind of framing and it should be questioned. The pairing with alcohol and sport or physical activity is nothing new. 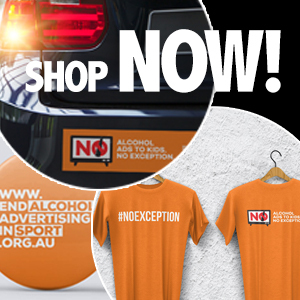 We see it all the time with heavy sponsorship from alcohol companies associated with the AFL, NRL, cricket, and racing scenes to name a few. Booze and sport are synonymous in Australia. The alcohol industry’s aim with this unholy union is to recruit new drinkers and increase market share for their products. Put bluntly, it’s about making money. Big Alcohol must be rubbing its hands together in glee with all the free advertising from establishing a new connection between alcohol and asana. What’s next? Ballet and beer? Pilates and port? Tai chi and tequila? Clearly, Facebook knows a thing or two about my love of yoga with event after event popping up in my newsfeed with the latest offering of vino and vinyasa and wine on retreat. It’s an actual thing now. But I don’t fancy getting dehydrated and dizzy when my intention is to work on my strength, flexibility, balance, and concentration. We already have a toxic relationship between alcohol and sport in Australia, without adding yoga to the mix. As a community, we should pause and consider what this relationship means. Is alcohol so ingrained into our society that its inclusion with yoga goes unquestioned? Alcohol is portrayed as the antidote to stress and therefore the beverage of choice for yogis. But if the first ethical practice principle for yogis is ‘ahimsa’ (non-harm) then why is alcohol – a substance that negatively impacts families, ruins lives, causes diseases, car accidents, and one-punch attacks, contributes to domestic violence, and costs the health system billions of dollars each year – synonymous with a practice based on the principle of doing no harm? Surely this is a case of bad alignment. Can you still participate in classes that include sipping booze between balance poses if you don’t drink? And does the usual social stigma set in where declining a drink is looked down upon? If yoga is about creating unity with self and society, then the arrival of alcohol on the mat remains a mystery for me. As this is surely a divisive issue, we need to create discussion and consideration of the true relevance of alcohol in yoga. The health and societal harms of alcohol are no illusion. On top of that, there’s enough alcohol advertising around without the yoga scene unintentionally acting on behalf of an industry hell-bent on profiting from a harmful commodity. So, I’m saying no to beer with my bendbacks, and I’m certainly not keen on knocking back a brew while balancing in bakasana. I’ll stick to yoga without the bells and whistles. The wine can wait.